As an office goer in Mumbai, who commutes by taxis, I’ve had my fair share of trip refusals and ended waiting for upto am hour to get a willing cab. The recently launched Ola Cabs feature of hailing a good old kaali peeli in Mumbai has been a real time and hassle saver for me this past week. I’ve used it 3-4 times already & the experience has been quite smooth. 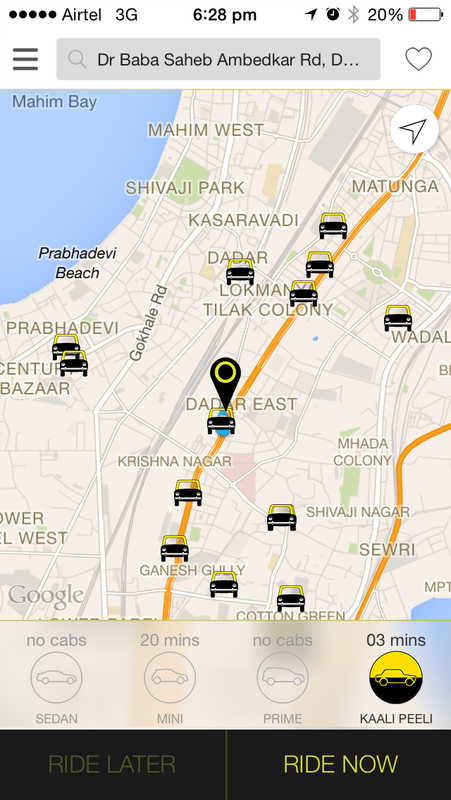 Hope it flourishes from here as it solves problems for both the commuter and the taxi driver. Just hope that it doesn’t run afoul of regulators and unions. One caveat of you’re using their windows phone app which doesn’t seem to have this feature yet.